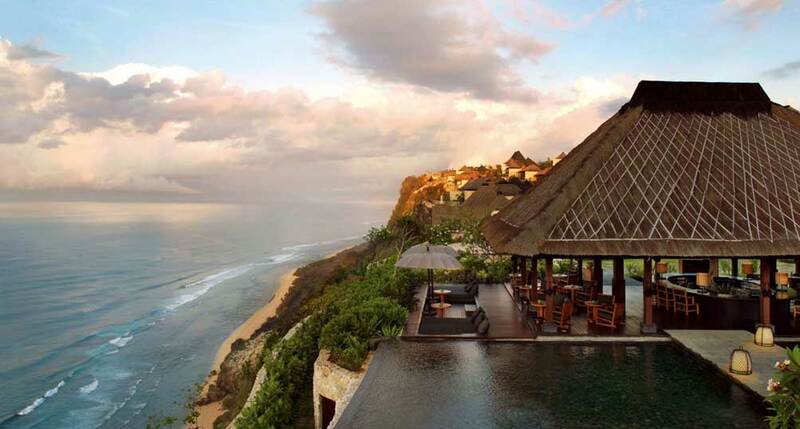 Located on the southern coast of Bali on the tip of Bukit Peninsula, Bulgari Bali is one of the most beautiful resorts on the island. 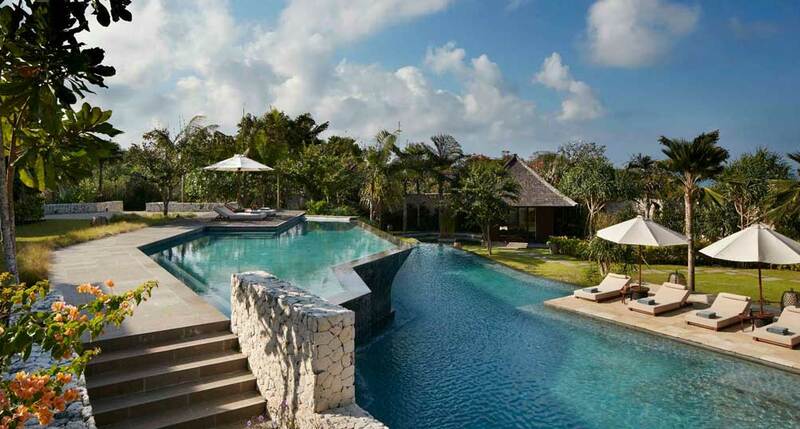 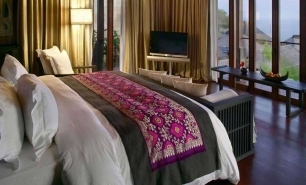 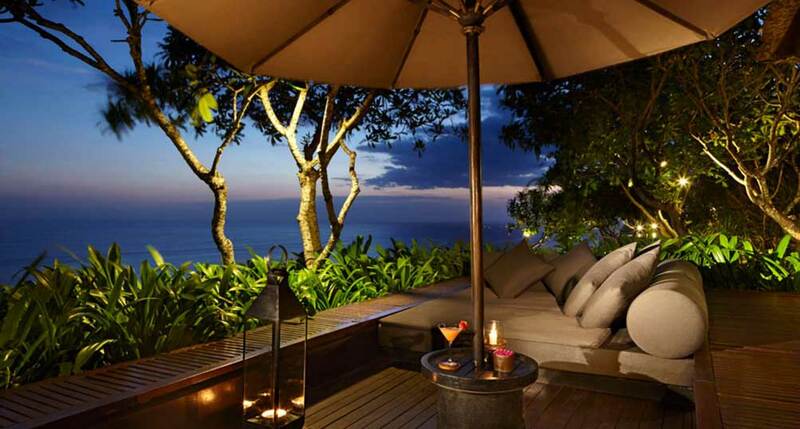 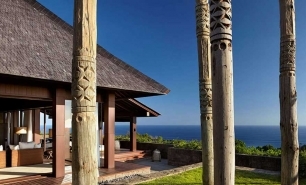 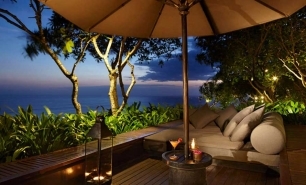 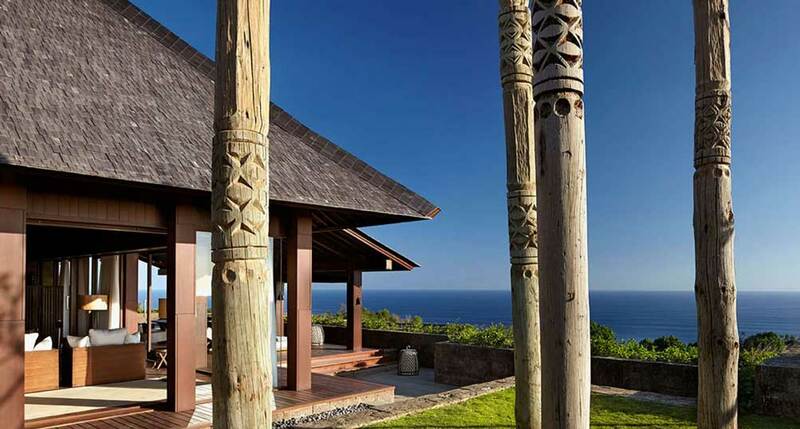 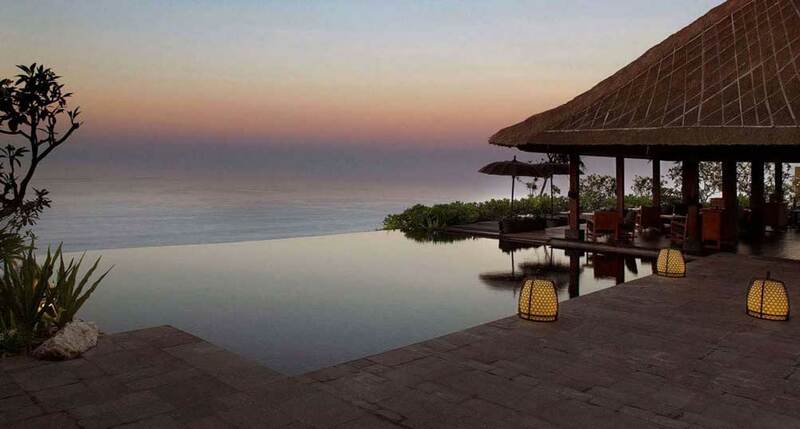 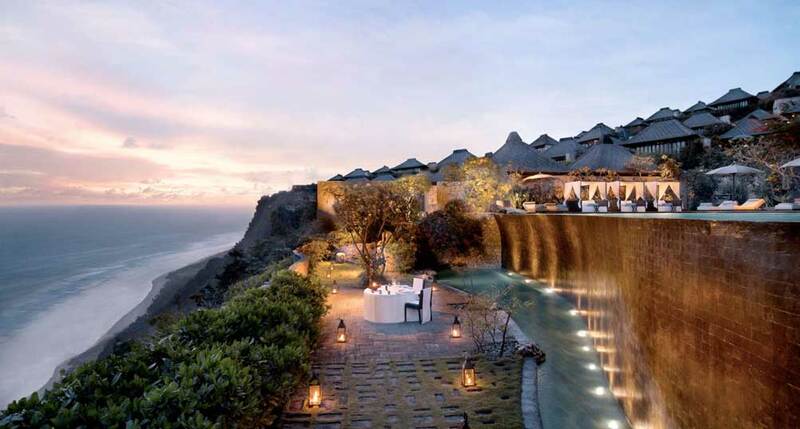 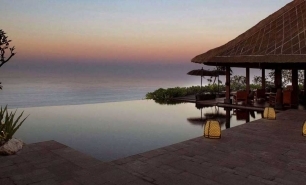 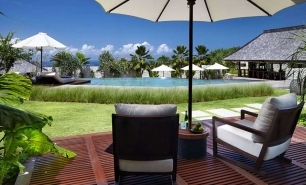 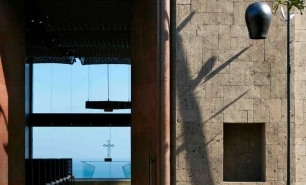 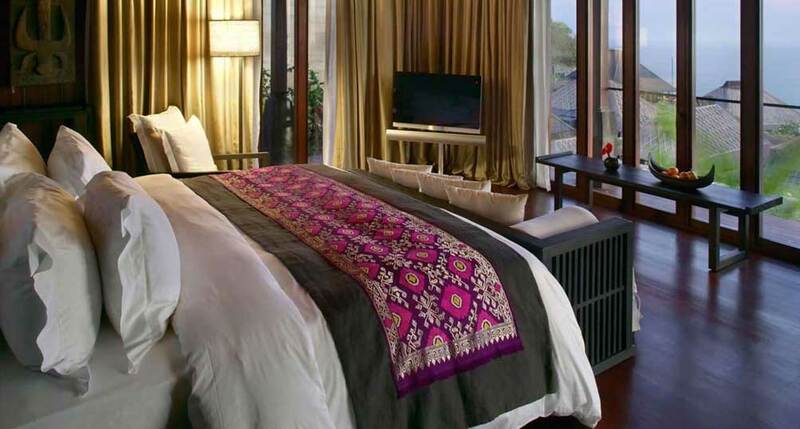 The Resort is set on a 150-metre high plateau overlooking the Indian Ocean. 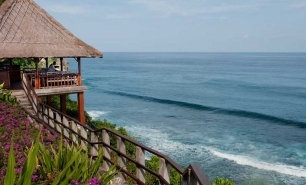 The pristine, private and completely empty beach is great for long walks along the oceanfront and can be reached via an incline elevator. 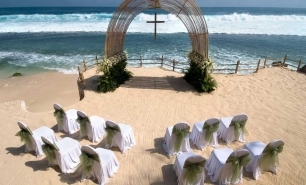 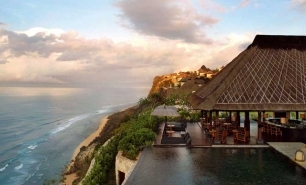 The village of Pecatu and the site of the magnificent Pura Luhur Uluwatu Temple are both located a short drive from the resort. 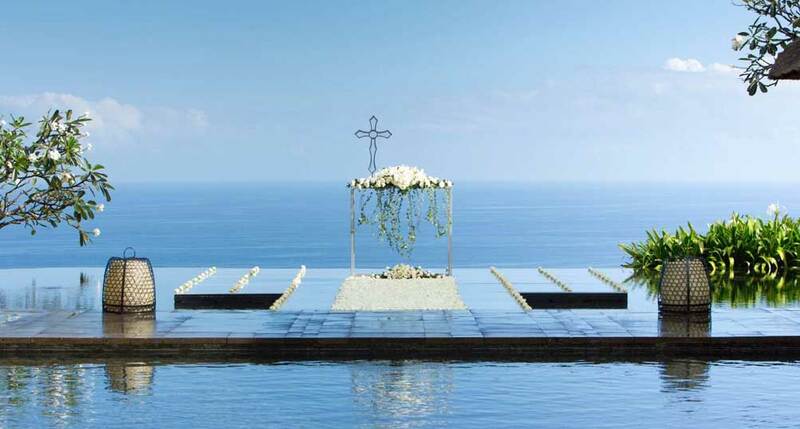 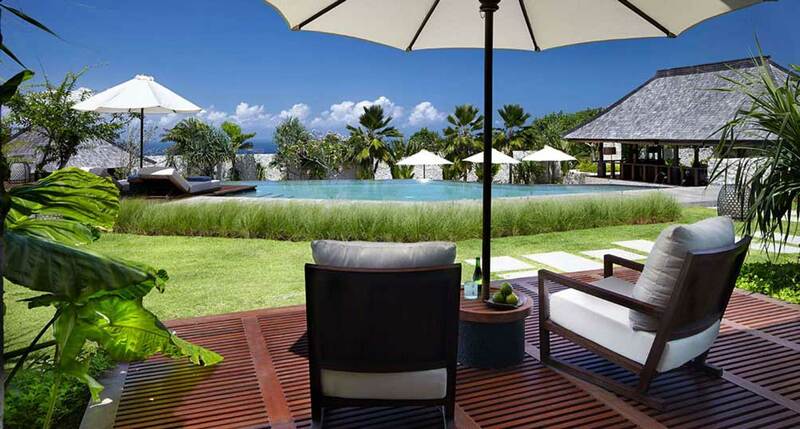 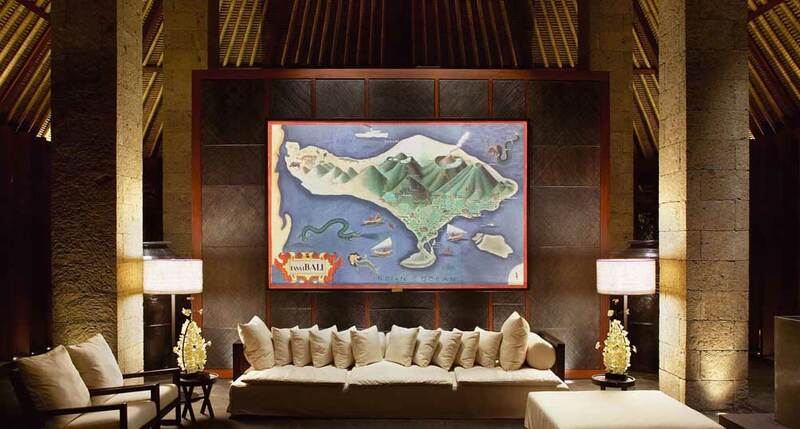 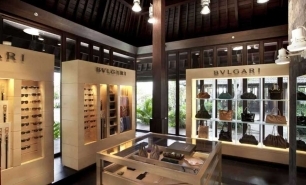 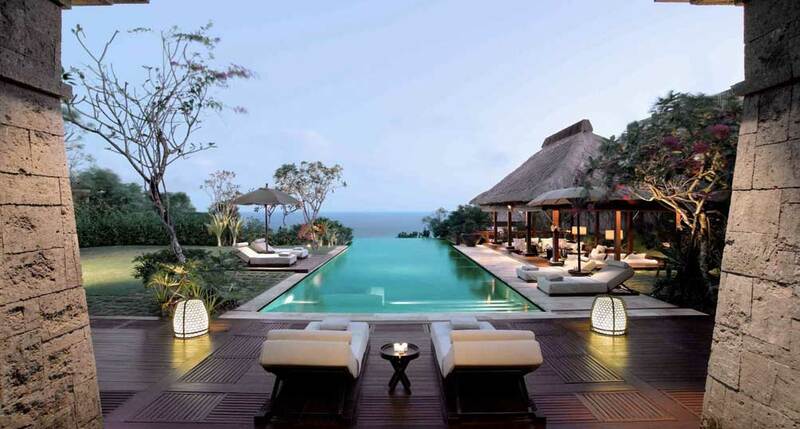 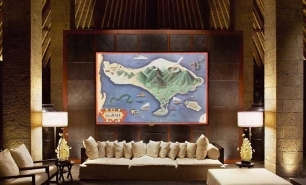 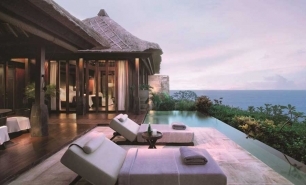 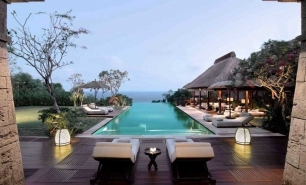 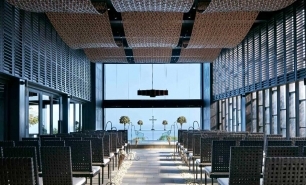 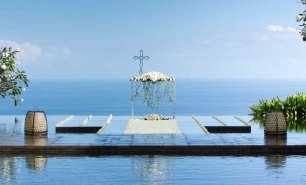 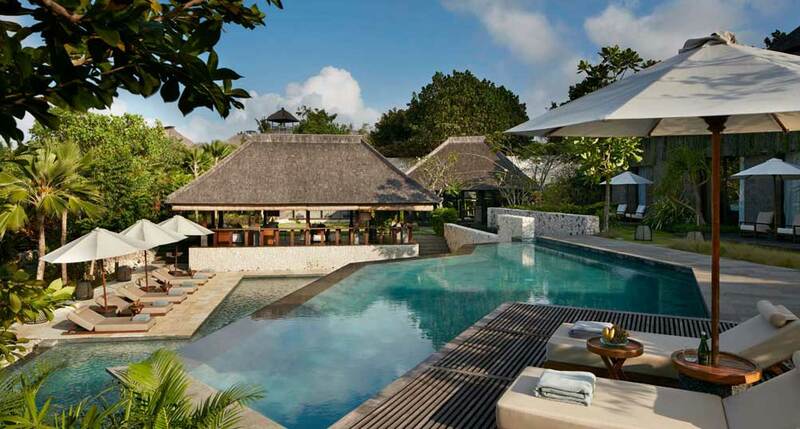 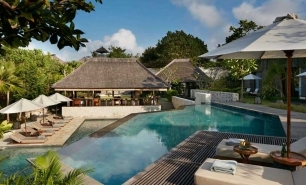 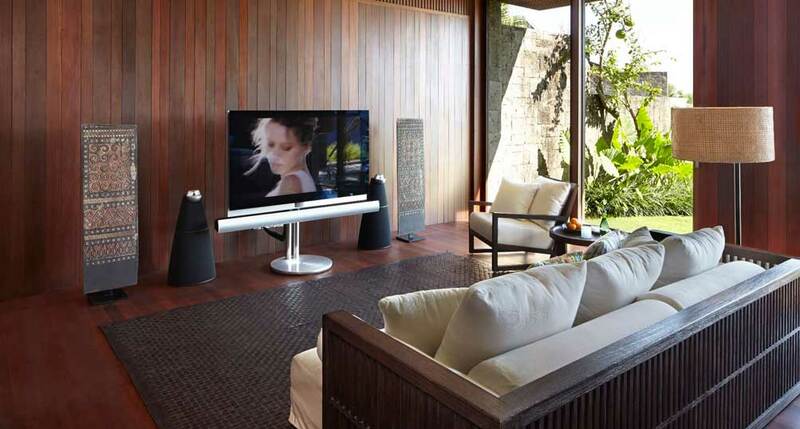 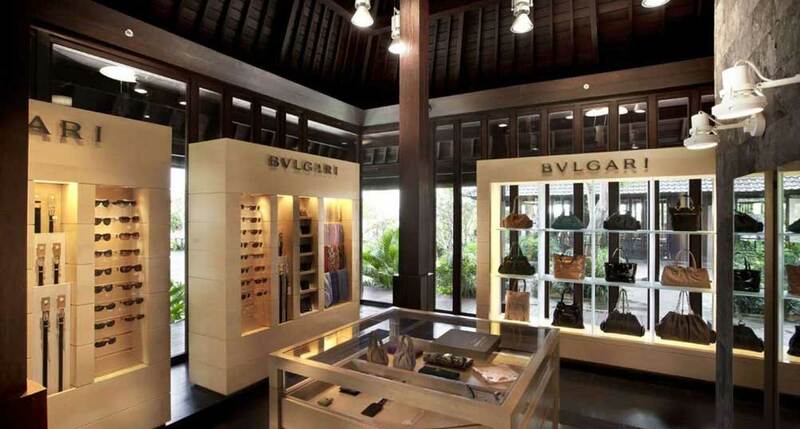 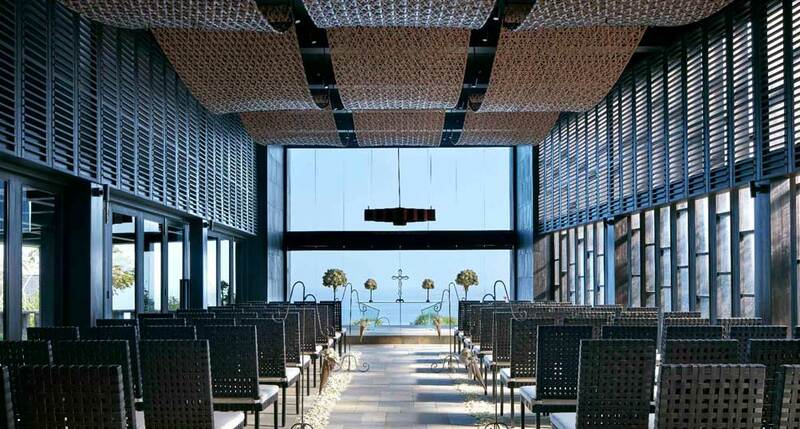 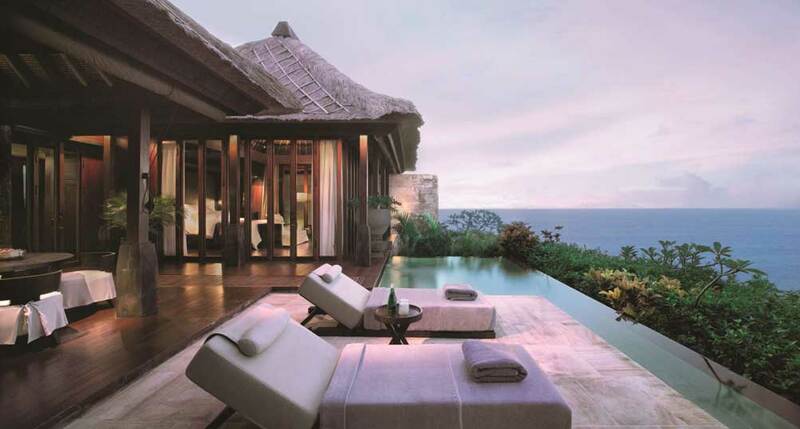 Designed by architects Antonio Citterio and Partners, the 59-villa Bulgari Resort Bali has a contemporary design with elements of Balinese architecture and the distinctive exclusive Bulgari flavour. 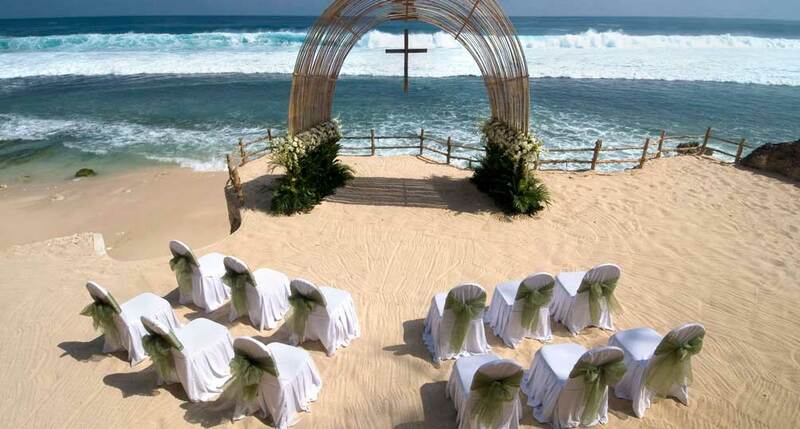 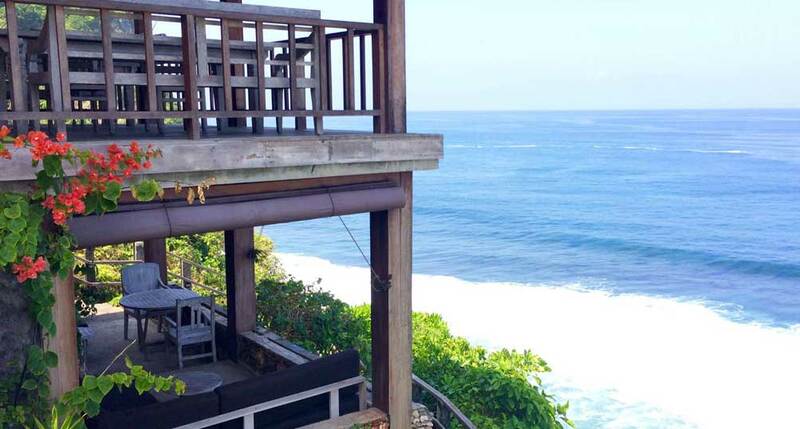 The view of the ocean from the cliff is stunning, the beach is beautiful, and the cuisine is delicious. 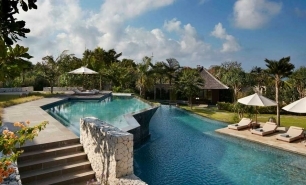 The resort’s villas (starting at 300sqm) have excellent beds, fantastic bathrooms and large covered yards with infinity pools facing the ocean. 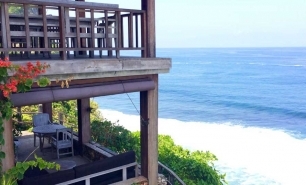 Ocean Cliff Villas, which are located immediately next to the 150m cliff side, have unobstructed views of the ocean. 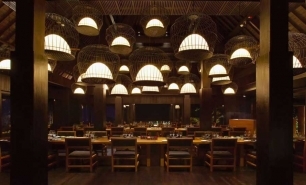 Dining options include Il Ristorante which is considered one of the best restaurants on the island. 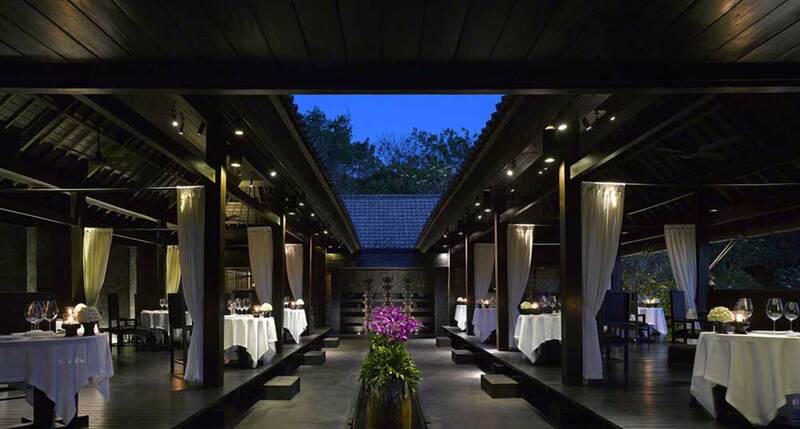 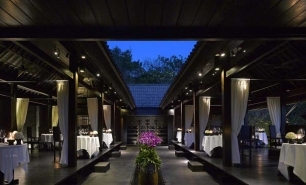 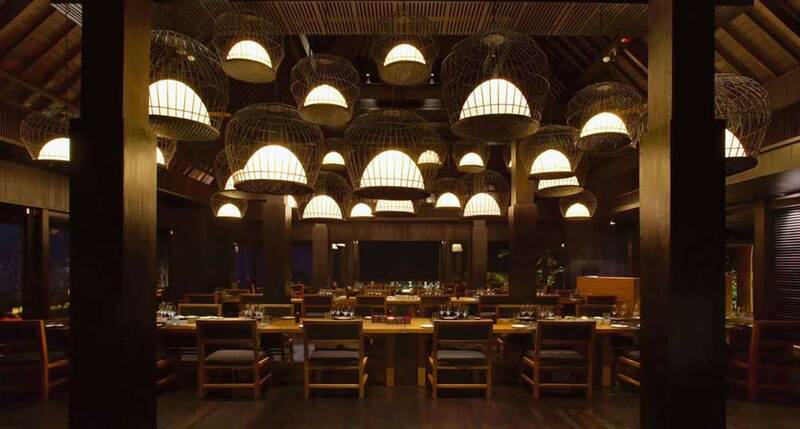 The restaurant is set in an open-air bale style pavilion and offers traditional Italian cuisine. 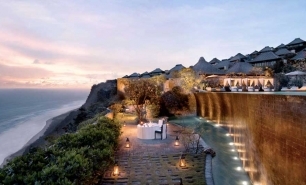 There is also the The Sangkar Restaurant, which is positioned at the edge of a cliff and offers an international menu. The small Beach Club located above the beach at the foot of the incline elevator prepares fantastic simple grilled seafood dishes and salads. 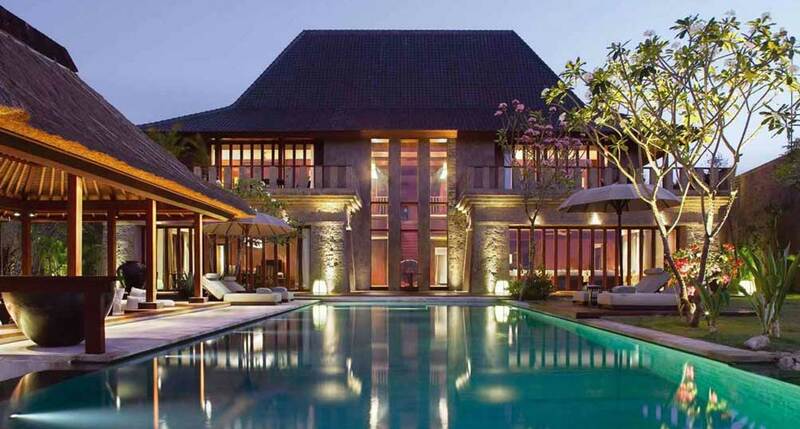 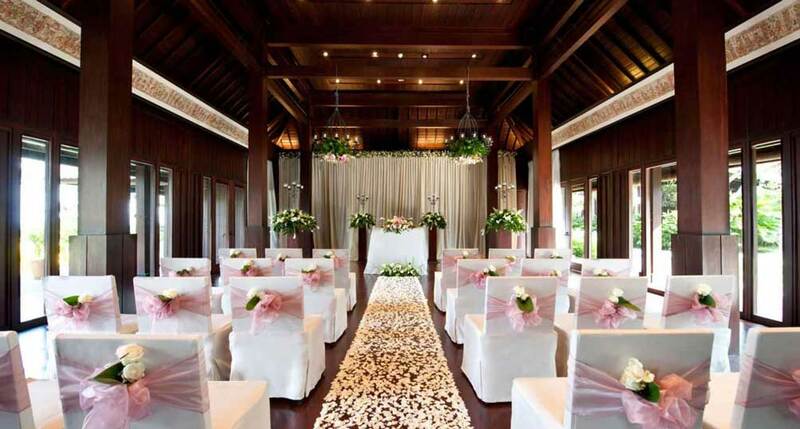 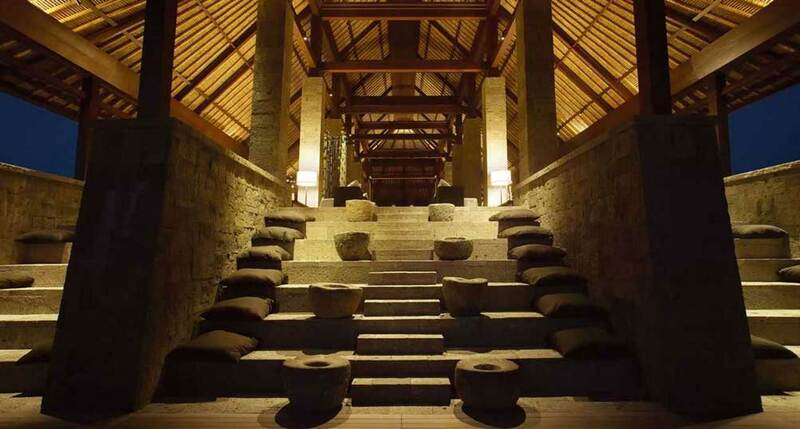 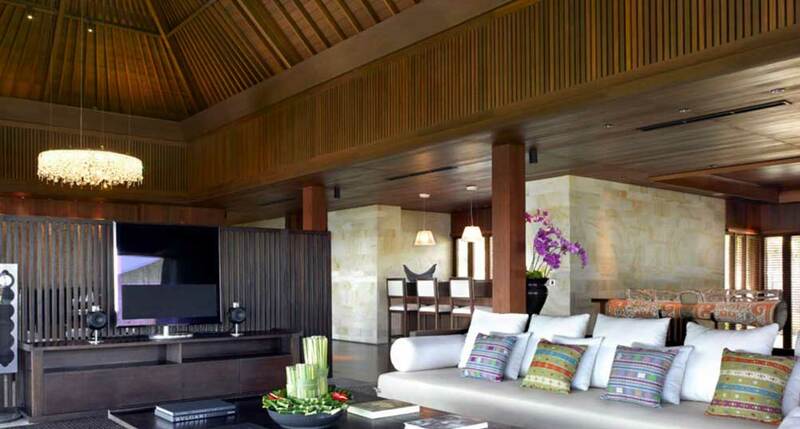 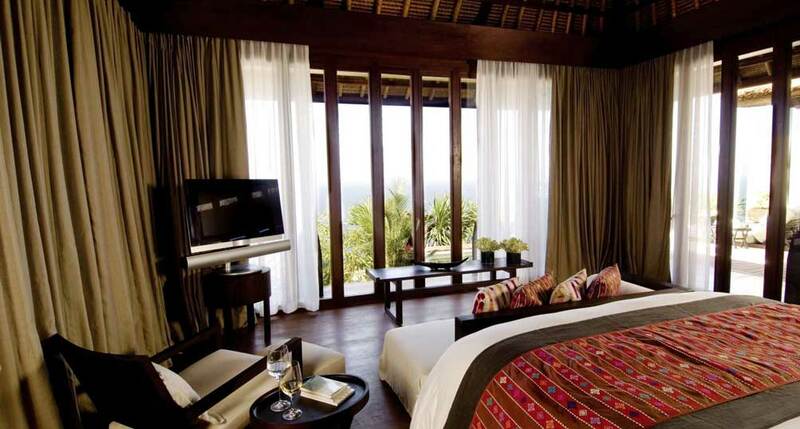 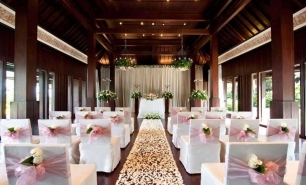 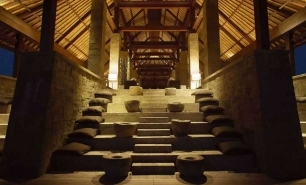 The Resort has a beautiful spa with an entrance showcasing an elaborately carved old Balinese house. 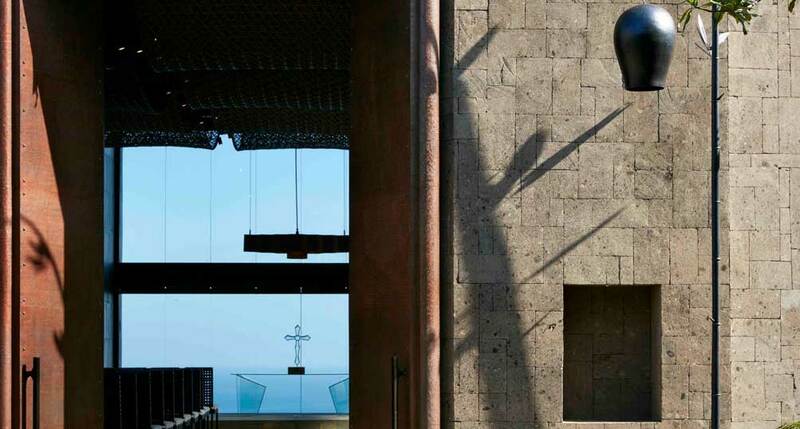 The spa interior is very modern and the cliff side views of the ocean are spectacular.